I’ve heard it said there’s nothing more American than baseball and apple pie. Baseball I can do without. 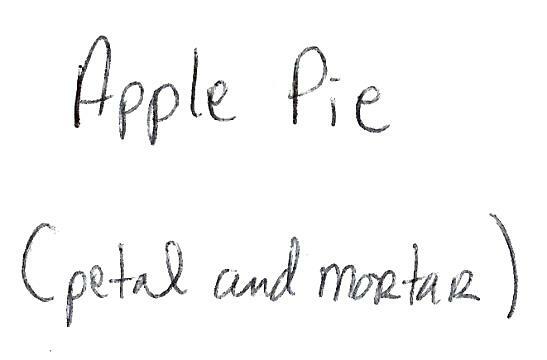 Apple pie is another story. 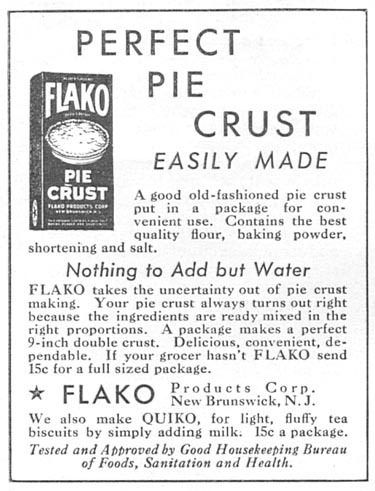 My pie starts with Grandmother’s pie. For years, Grandma baked deserts for the lunch counter at the local sale barn. Sadly, her legendary lemon meringue secret died with her. When my mother married my father, she determined to make a better apple pie – specifically a better pie crust – than Grandma. I reckon this pie’s just as good as Gertie’s. At least, he said something remarkably similar. This was before I was born. 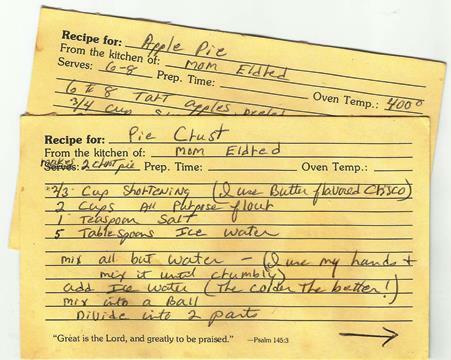 And so, for as long as I can remember, Mom made the best apple pie – no questions asked (or answered, for that matter). I wish I could say I learned mad ninja pie skills at Mom’s knee, but the truth is I never really paid attention to what Mom did in the kitchen. What came out of the kitchen, everyone paid attention to. I’m not going to let this go to waste. I’m going to learn to make an apple pie. So I emailed Mom; several weeks later I received actual, hand-written recipe cards for our growing collection. Even if I failed, I’d have these priceless family momentos. I had several false starts. Delicious false starts, but not quite what I wanted. I set out to make Mom’s pie recipe my own. I experimented with apple varieties. I adjusted various and sundry quantities. Finally, I baked a pie I was proud to call my own. I think this pie is just as good as Mom’s. And he’s not just saying that. My pie is now in demand at nearly every holiday party. My students frequently request a pie or two throughout the year. If they pay for the ingredients, I’ll make them a few. $20 will buy all the ingredients for two pies. In fact, I’m baking pies today for a get-together tomorrow. I started getting messages last Sunday that folks were anticipating my pie. And don’t worry; I’m not the next Mrs. Lovett – or Mr. Lovett as the case may be. Thanks to Vanessa of Petal & Mortar for contributing to the Prompt Box!